The first library was in a building that had just been vacated by the village. The Village Board, Town Board, caucuses, elections, justice trials, and fire equipment had formally occupied the building. Librarian – Mrs. Dodson, Assistants – Miss Demarest and Mrs. Colton. The first building the library was housed in was sold to Eagle Telephone Company and the library had to relocate four months and two days from their opening day. They moved into a storage shed/woodshed in back of the Enterprise, on what is now Second Street. Lura Dow was the owner of the building. Rent was $8.00 per month. The librarian was paid $1.50 per week. It was a frame building behind the present stone block building (Kaufman’s Insurance) on Second Street. It was painted red and consisted of a large room and a small side room, not much more than eight feet wide. The building was used as a community center and now had a cabinet organ. The architectural firm of Claude and Starck of Madison, Wisconsin planned the building. The 25×40 foot building is of Spanish architecture and is stuccoed in oriental Californian finish. The creamy exterior is elaborated by terra cotta pillars at the entrance and balcony, and has ornamental iron grillwork at the Spanish windows, which comprises the front wall of the Reading Room. The piano arrives from Iowa, a gift from Lenore Schultz, granddaughter of Enterprise Editor O.P. Dow. Railing installed on front steps. It was decided not to install a telephone. A four-drawer file was purchased and the cataloging of books began. Mrs. H.L. Colton, who for the last seven years has served as Librarian in the Powers Memorial Library and five years in the old library, has tendered her resignation to the Library Board to take effect November 1st. Miss Edith Congdon was chosen as Librarian. She served until 1962 when she passed away. Amelia Demarest was Assistant Librarian. Library was painted, and electric furnace fan installed. “Gone With the Wind” was purchased for $2.16. A new furnace was installed. Dora Smith became the Assistant Librarian upon the death of Amelia Demarest. In February, the Library Board adopts a policy of not allowing piano to be taken out of the library. Honor Roll placed in front of library. Electric clock honoring George Holcomb given to the library. Library was used for T.B. clinic. Edith Congdon, who served the library for 27 years, passed away. Elise Christiansen kept the library open until Mrs. Leola Turner was appointed Librarian. She served for 12 years. Trudy Walechka served as Librarian. Sally Mason was appointed Librarian. Rosetta Cady retires from Library Board after serving 21 years. Lucille Brown was appointed to the Library Board. Dorothy Cummings retired from the Library Board having served 12 years. Altha Kincaid retires after serving 18 years, 17 of them as the treasurer. 1977 marked the 50th year since the Powers Library was built and given to the people of Palmyra. On October 22nd, and Open House was held to celebrate. A 16mm projector was received from local donations. Also, adult patrons can now check out phonograph records. Basement carpeted. Library joins the Jefferson County Library Service. Powers Memorial Library becomes a member of the Mid-Wisconsin Federated Library System. In February, there was a joint meeting of Village and Library Boards to discuss alternative solutions to the library’s space needs. Kiwanis Club votes to assist the Library Board with a building fund drive. First donations received for the fund. 3,000 items were moved downstairs forming a Children’s Library. Cassette tapes became available to patrons. June of 1981, Village Board endorsed the plan of proposed addition and authorized the Library Board to sign a contract with George DeQuardo. Videodiscs, microfiche, and microfilm readers received from the system. Library opens 2 mornings a week. Color TV given by the Kiwanis Club. First videos purchased for the library. Library Friends group started. Another try for a construction grant receives approval on August 12th. October – Ground broken for addition. Kimetia (Ki) Jennejohn is hired as Director, followed by Barbara Jamieson from August 1989 – January 1990. Sally Mason again became Director. Apple II GS computer purchased for library use. Alndis and Gyr Powers presented Powers Memorial Library with the company archival materials and William Penn Powers memorabilia. After 18 years, director Sally Mason leaves to work at the Whitewater Library. Ann Fridl from the Whitewater Library is hired as Director. Powers Memorial Library automates. Computers were added and Internet access becomes available to the public. First music CD’s are added to the library’s collection. DVD’s are added to the library’s collection of movies. The furnace for the upstairs part of the library is replaced. Ann Fridl leaves as Director to work in Jacksonville, Florida Library System. And Schade, from the Lake Mills Library is hired as new Director. Space has once again become a problem for the library. The Library Board and Director look for solutions for the space problem. Computers are upgraded and new system is in the process of being implemented. 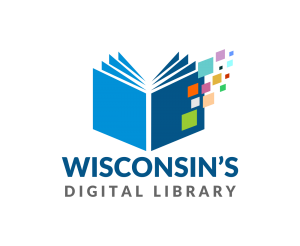 The library joins Fort Atkinson and Jefferson Libraries in a shared automation system bringing the resources of all three libraries to Palmyra community members. Ann Schade leaves for a job at Edgewood College. Kathleen Hookham is hired as the new Director to start January 2005. Midas agreement is signed for a shared automation consortium combining Jefferson, Dodge and Washington counties. The Midas agreement is changed to the S.H.A.R.E. (Shared Holding and Resource Exchange) Consortium combining Jefferson, Dodge, Washington, Walworth and Racine counties. SIRSI automation program is chosen to bring resources from the five counties to local residents. In January, The SIRSI automation program goes live bringing materials from 44 libraries to area residents. Residents can place hold on materials that are delivered to the library every day except Saturdays. Director Kathleen Hookham left Powers Memorial Library in July of this year. Angela Zimmermann was hired as Library Director in September 2015. Director Angela Zimmerman left Powers Memorial Library in December of 2016. Laura Gest was hired as Library Director in February 2017.